The fingerboard is solid African ebony. The top is made with a spruce veneer, which gives it the pin-striped look of a carved top. 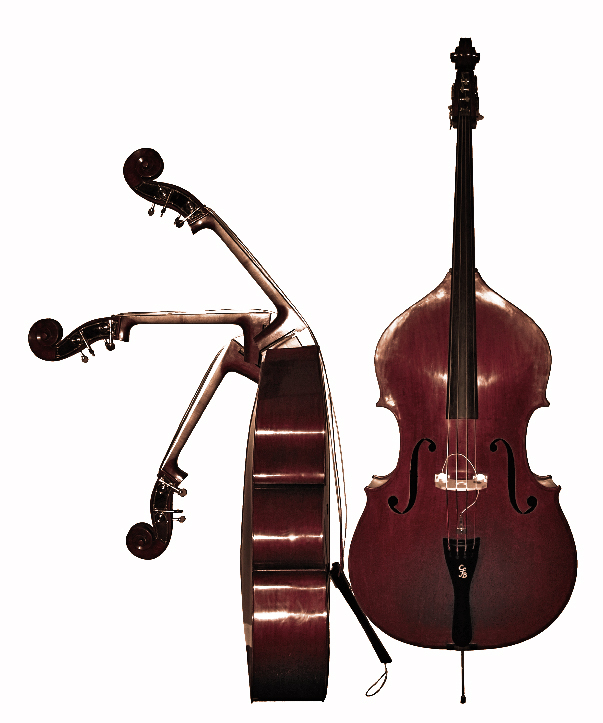 The purfling is inlaid, front and back. 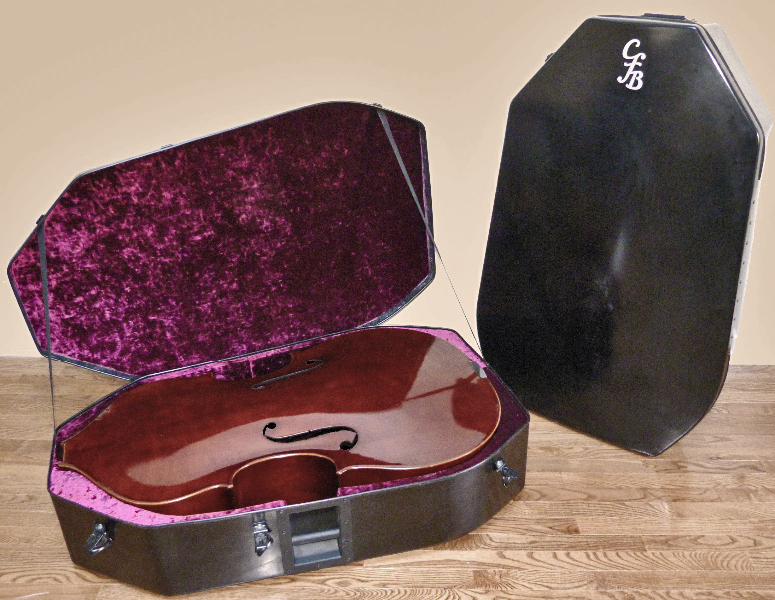 Bass and case together weigh less than 50lbs. Bass has a 1 year warranty. The interior is lined with crushed velvet over foam. It has 2 recessed wheels, metal latches and 2 metal recessed handles. Case has a 1 year warranty.